The answer to the Radio/TV/Carny evolutionary scale may have its roots in a Tex Avery cartoon...the one where a bird is being chased by a cat who is being chased by a dog who, in turn, is being pursued by a Dog Catcher...with intermittent bursts of a woman being chased by a mouse. I hope you don't get sued by the carnies! Will somebody please bother to explain that TV people are just one step above radio people whom are just one step above carnies. How did you find TTM? Between the bread of a Little Lani's Grinder, oops Submarine!! If my memory serves me one of the EC guys had a radio gig while he was still in school. Late night or weekend shift, Think it was KELi not sure. My vote for best FM DJ goes to Denny Delk from KTBA in Broken Arrow. He is a good friend and great voice. I tried TU's radio station, but found that I was better in the engineering room at KOTV than in front of the mike (and camera)! How did you find TTM? why? Gotta chime in here. Gilcrease Junior High was another "windowless" school, but not really. When the power went out, there was enough light to get around but not enough light to work (Yahoo!). I went there the first two years it was opened and the cafeteria, gym and auditorium were unfinished. That meant we got to bring frozen sodapop from home to drink with our lunch ('way ahead of our time), we had no PE (we watched the World Series, etc.) and we had no long boring assemblies. Joy, my first late night fill-in segment in Chickasha was similar to yours. I put Instant Karma on air and was immediately "encouraged" to select something a little more fitting to the (yawn) format. Finally, I forgot all about Pickles. I have little recollection of going there, but I do remember it was the place to go. Usually the raciest place I went was the Shakey's way out on Admiral. It seems they had one side for kids (no beer) and one side for adults. Now it is a bar, I think. TO: Joy Cooper - did you work with a Martie Porter at KHEN? She was there in the early 80's. She's now a VP at Fox Television here in DC. It is really good to see someone of EC '69 that is still alive. But, then again I don't think Joy Cooper ever had an "off" switch. You need to post another picture. Band queen Diana. She was also Miss Rodeo USA and was the dean's secretary at TJC back in '72-73. A special hello to the King Lionel and Lee. Thanks for all the e-mails. Webmaster, a lot of classes at EC were mixed grades. I went my Junior year to Tulsa Vo/Tech for their half day and to EC for the other half. My senior year I stayed at EC and had to take a full schedule. My Algebra class was mostly sophomores, talk about embarrassing!! Most of my "A" classes were taught by the "coaches" (did we ever win a game?) Coach Dyer did freak at the loss of power, most of the girls did, also. Webmaster, remembered the name of the old all night diner..The Crosstown Grill..is it still there? I guess I maybe qualify as an "on-air" personality...many years ago I sold advertising time for KHEN in Henryetta..a thankless task trying to convince businesses to buy time on a little middle of the road station in the middle of cow country radio...but one account I did sell kept that radio station afloat for awhile or so I heard. Used to be the 6 to midnight DJ on Saturdays when everyone else in the station disappeared for the weekend..they just showed me how to turn the knobs and flip the switches...but I don't think anyone ever tuned in. I asked for requests and got nothing but silence...and this was before canned and taped filler for dead air and I quickly ran out of things to say..so I played a lot of Layla and Cream until the station manager would call up and fuss that I wasn't following the format. So then I played a lot of Roger Williams and Mitch Miller...another call from the station manager...but heck, I don't think it mattered to anyone what was playing. But I developed a healthy respect for anyone who could just chat into a mike for hours on end and have it make sense...everyone in Henryetta was well informed about the news and weather because I read it over and over again...HA! Peace love dove and don't trust anyone under 30. Hmm...that must be KSBI-TV 52 up for sale. Seems like they first went on the air in '89. They kind of ended up without a place in the TV world after PAX came into OKC with a brand new station. In Guestbook 16, Jim Back mentioned a Kansas City version of a Tulsa show, "Kiddies' Auction". It was sponsored by Kitty Clover Potato Chips and hosted on Saturday mornings by "Big Bill" Blair. Kids would save up coupons from Kitty Clover potato chip bags and use them to bid on prizes. Dude! Too funny, seeing that picture you posted of me with my "deer in the headlights" look and an upside fish bowl in my hand. My thespian career ended in a college acting class when I realized my ego would never be big enough to be a "star". I remember the Orpheum theater downtown with all its gilt and velvet curtains, and it had the best "make out" balcony in town..did it meet the wrecking ball like so many vintage buildings? What was the name of that restaurant where everyone went after the clubs had closed..too chinese-eyed then to remember the name but I think it was close to downtown..an old all nighter with surly waitresses? Last time I was there someone had to pull my face out of my cheeseburger but I recall it was a big meeting spot for all the night owls in Tulsa at that time. Did anyone ever go to "Pickles" bar..the only time I ever had where it "just doesn't get any better than this" was a night at Pickles with wall to wall people, a great black soul singer belting out Treat Her Like a Lady and even the beer tasted good! Larry Babb was the bartender there and I heard he went to greater fame as an artist designing pieces for the new (at that time) Williams Center and other major venues. Anyone know Larry Babb? Thanks again for all the memories..wish I was livin on Tulsa time again. Peace! How did you find TTM? uh? I swear as soon as school starts up and all these crazy teachers get thru "just having to" get their insane VHS projects "fixed" - (you know, "can you put the filter on so you can hear them"?) I will get the web type guy a tape. I have all formats 'cept CD. What kind? VHS would work for me! Do any of you remember a leaky concrete building which served as a theatre for a short while which was torn down for the Williams Plaza Hotel? Either American Theatre Company or someone else had this nasty place of gutted bare concrete on Third by NBT for a while in the late '60's/early '70's. I can remember going to see "The Cabinet of Dr. Caligari" - the movie - there. Seemed like a basement or warehouse of someplace on the side of the street by where the PAC/Williams Plaza is today. Smelled bad and had leaked water but they had a full house there for "new theatre" and movie showings. Went once or twice. No bathrooms either but it was a "space". I miss The Brook, The Delman and The Circle - from better days as theatres! In fact, two familiar names on the list of possible hosts for KJRH's World's Worst Movie. Michael DelGiorno is host of "The Morning Buzz" on AM 1430. And, Ray Seggern is (was?) a personality on Z104.5 known as "Raydog". Oklahoma's first new wave club, (at least according to mangement) was the Bleu Grotto downtown. I played there many times with a punk group called Dogfood. It had a cave theme leftover from years previous...canvas stalactites hanging down and chickenwire stucco 'cave walls'. I think it's a parking lot now. Could this be the "The Cave" everyone is mentioning or was there some 'cavemania' that swept the country at some point? Contributor Rex Brown was another frequent performer at the Bleu Grotto. Webmaster, I don't know if this is the way everyone communicates on this site by just yakking on the guestbook..but I wanted to say "Hi!" back, and as soon as I can locate the yearbook I'm going to look you up...remember the time the literal monkey wrench in maintenance knocked out the power at East Central, and all of a sudden it was pitch black because there were no windows in the classrooms and I think even Coach Dyer freaked out..he was my history teacher. The Cave Club (maybe I have the name wrong) I was thinking of that bar at The Falls apartment complex..it was designed to look like a real cave with rocks and stalagtites and stalagmites and little nooks and crannies and the light was blue...very funky, I loved it. Hope to hear from and see more about our beloved T-Town in the future..great site, keep the pics and info coming. I'm sure you're right about the Cave Club, Joy. For awhile at East Central, I thought those mirrors near the ceiling in the classrooms were windows, but they were there for the benefit of claustrophobes. I looked you up and was reminded that you were the star of the senior play, "Blithe Spirit", which I did see and enjoy! Saw the post from Joy Cooper and finally dragged out the '69 yearbook. To the Webmaster, I swear I had class with you. After 32 years, I can still remember the clover-shaped buliding and the lack of windows. Sadly, I went to the EC website and found very little in the way of postings, maybe Southeast Asia took its toll on the late '60 classes. I remember Joy Cooper, she and I had classes together from Soph year to Sr year. Had a crush on her and Linda Johnson, imagine Xena as a 16 year old girl in a mini skirt. Got the image? Love tall women!! I saw a webcam shot of the Tulsey skyline the other nite. Man, have things changed. One of the Satellite nets had a show about Cain's Ballroom and the effect Tulsa had on C/W music; i.e. 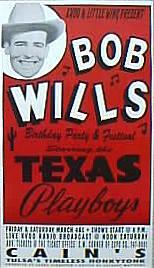 Bob Wills and the Texas Playboys playing there. Side note-remember the vacuum cleaner skit where Mazep vacuumed up a cameraman, that was my brother-in-law Steve Vandever. He still lives in Tulsa and runs his own television production company. Since you were two years ahead of me, any class we were both in would have been something like band or PE (I eluded the latter in high school by taking marching band). Is the Rose Bowl still standing? When I was a kid, my parents used to bowl on a league there. My best friend and I went along and used to climb up to the top of the dome roof. A few years after that I noticed they put up fences so you couldn't get to the parts of the roof that reached the ground. The Rose Bowl is still doing well, it appears. Location: Shoney's Big Boy on 11th St.
How did you find TTM? Just lucky, I guess. Lum's Beer Frankfurters, yeah! And Big Boy Burgers, great! I used to take a girl by the name of Judy E., a TU student and employee of Channel 2, to those places back in the early 70's. We also frequented The Library on 11th and popular Ma Bell's (delicious shakes). One more thing, Lionel is the king! "Go for Dough" with Gary Chew - we were addicted to it at the TU dorms in the late '60's/early '70's, the movies often sucked (seemed like 6 owned EVERY George Montgomery movie made then - US or Phillipine production...) but the live TV was funny. We also saw the early appearances of then camera op G.ailard. Though we laughed our asses of at the prizes and still joke about "winning a 6 pack" of Pepsi or Diet Rite - whatver Gary had to give away! Earlier in the afternoon the dorm living room at John Mabee Hall was filled with "Dark Shadows" addicts! TU neighborhood notes - the Coney-I-Lander on 11th was a Minnie Pearl's location. So was the Johnnie Harden's I believe across from St.Michael's Ally on 31st by Harvard. See previous 11th Street '70's notes here on neighboring "Sandy's". How many of you remember Ben's aka Simler's - the little snackbar/bookstore on 8th Street just East of what became the Twin Towers dorm? As I recall it was still in business after "Twin Squats" was built - it was on the corner. We heard it was torn down because TU was jealous of Ben's business - seemed like a good story 30 years ago. It took a potential competitor off the TU campus any way - the LAST one. Think it became a "green space". Food was greasy but recent used textbooks were cheap, they had every Cliff Notes ever published - but it's funny if I ever bought one - I still went ahead and read the book they were about! There is a boarded-up hulk of another neighborhood grocery store down 7th West of Delaware but closer to Lewis. I showed it to webmeister Ransom 2 years ago. It looks long closed. I forgot the name but they had a van and delivered to TU sororities/fraternities and probably made more money from that biz than from walk-in trade. Just remember all of the staff was VERY old! If we were "wealthy" we went to The Library, if you were legal and wanted to get beers and rowdy, you went to The Golden Hurricane beer bar. We - on the TU meal plan - hated the Saga-introduced dreaded Saturday night "steak" really it was steak parts bonded with cellulose. Good for dentists' business though. The former seafood option was trimmed to fried "some"fish or 2 shrimp. We lost all enthusiasm for "all you can eat Saturday nights". I really don't remember the Friskie's contest to find Lionel a mate. We did have a good time with a real lion named "Frazier." He gained notoriety for his stamina. Granny picked up on that. That was the place! The interior was all painted in orchid and purple. Only went there that one time. I forgot to mention that Benny Aronov was a very talented piano player and singer. He was a Central graduate of 1950. 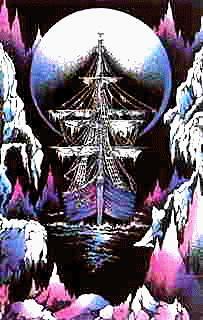 7/22/2005: David Bagsby supplied the matchbook image. It was great finding this site..like hearing from home again..refreshing memories of favorite restaurants, haunts, people, happenings..I will be checking this site to see what's new. I miss Tulsa and the great, down to earth attitude of the people there..not a very common commodity in other places I've been, and hope to hear from the webmaster or other folks as well. Joy, you'll find a twerpy sophomore in your '69 yearbook named Mike Ransom. That would be me. 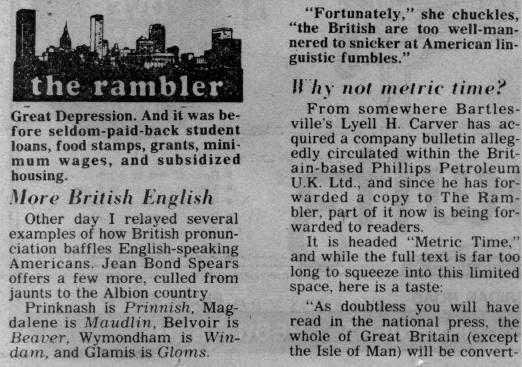 The Rambler presented a weekly brain teaser, and if you solved it, he would publish your name in the column. After getting my name in a few times, I signed my answer "P.N. Potts" and thought it hee-larious when that was printed. Wasn't the Cave Club in the Rose Bowl? I have been looking for some pictures I took of the "Bundys" from "Married with Children" at the Rose Bowl back in about '87 (much later: I found them). Watched the show as a kid and it seems it came on every day at 5:15 P.M. Also remember a contest they held because the King was lonely for his own kind. Viewers were invited to send a post card with the name of their cat and a drawing was held with the idea that the winners would be invited to the show so the king could hold court with some of his own. My cat and I were winners and got to be on the show. We also won a 6 month supply of Friskie's Cat Food which nearly killed my cat! Thanks for the memories! Thanks for the story, Roger. I wonder if Lee remembers that? Location: south of Canada, eh? Lowell, I remember Minnie Pearl's Chicken in Dallas when I lived there; never knew it was in Tulsa. They also had a sister chain of roast beef eateries. Their slogan (yelled out by Minnie herself) was "Howww-DEEEEE-licious!!" I also remember Popeye's in Tulsa, at least the one on Sheridan, near 61st. I always thought their chicken could stand some more spice, but those Cajun dishes were mighty tasty. When I hear Peoria mentioned, I think of the old orange building that housed Weber's Old Fashioned Root Beer. Mmmmm, that root beer was good, and their burgers and greasy fries weren't bad, either. I'm told that they still exist in a new location. Not far from there was the legendary Pennington's, which (I hate to admit) I never got around to patronizing. What a blackbottom pie bummer that is! How did you find TTM? Coming in loud and clear (if I use a little tin foil on the rabbit ears). POPEYE'S is putting in a restaurant here in Tulsa! It looks like it should be open soon at Pine and Peoria. It would be nice to take a bowl of their red beans and rice down to the Greenwood Jazz Festival about now. Check out KJRH's website for the finalists they have picked to host their World's Worst Movie. At least one familiar name is on the list. One more thing - Mazeppa rocks! Last week they opened a Quik Trip about a block from my house here in Dallas. No Koolees, but it is the first place in Texas I've been able to find a Cherry Mash. First off, Tulsa radio was always really important to me, as I've loved music as far back as I can remember. 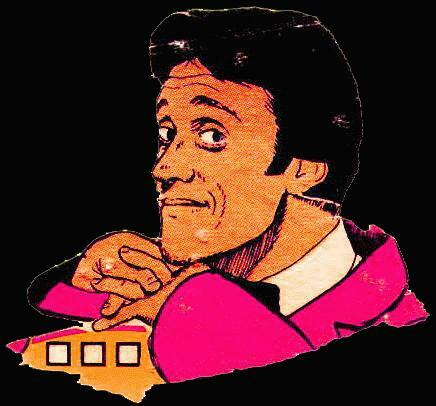 The most influential radio station, on me at quite an early age (around 9 or 10), was KWGS. "Kweeges" as they used to call it!!! "Subterranean Underground" with the "Foxy Lady"!!!! That was some great music from the psychedelic era that really turned my head around and made me wanna grow up fast and get into all the counter culture! Fluorescent posters plastered the walls and ceiling. Some I painted myself including a fluorescent Mazeppa portrait. I had flashing Christmas lights, a black light, lava lamp, a gizzer blinkie and lots of incense! Next I probably listened to KMOD's progressive format, but eventually discovered KTBA. This was an awesome station. Particularly, Rob On Your Radio, my favorite all-time Tulsa DJ!!! 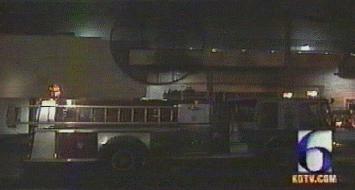 Once I was able to drive, a few of us would occasionally drive out to Broken Arrow and hang out at the station. On one of these visits I snuck the car out without permission, while my parents were out for the evening, and managed to get two flat tires at once! I had to have my older brother Rick rescue us by bringing out a second spare. I don't think my parents ever found out!! Around 1975 KKUL switched from soul to progressive and Rob started working the graveyard shift there. We continued hang out late nights and had some wild times. I was there alone with Rob one night when these two young ladies showed up with a pound of mushrooms and wanted us to help them celebrate their birthdays!!! How could we refuse!!!! Rob On Your Radio was of course my inspiration for calling myself Stevo In Yr Stereo when I became a DJ in 1979. There's more on that on the Nightmare City Halloween website in "The Story Of Nightmare City Halloween". With my love of music went my love of buying albums and Tulsa had some great record stores. Of course, there were the standards like Greer's (remember when an album cost $3.33!!!) and Honest Johns! But, my favorite was Starship!! There are some others that I can no longer remember, but I used to spend hours and hours record shopping. I also loved the Starship head shop, and Oz! Spent a good amount of time there, too! Anyone remember Bill's Bongs? I still have an aluminum one dated 5-29-74 #1 !!! If you like "psychedelic" art, or think you might, be sure to check out Stevo's art site, sTeVo iN yR sTuDiO. I found his work fascinating, evocative, and informed by modern ideas in the realm of biology and information technology...a serious "head trip", man. News photogs beware of Tulsa! Saw on local news last nite that a KJRH-2 photog got ran over by some crazoid in a (what else?) pickup. Of course the tape was rolling, but the photog shot the ground afterwards instead of the good stuff. He wasn't badly hurt, by the way. A KOTV-6 photog got the action from a different angle, so it was much fun watching local news last nite. 6 gave 2 their tape. Cool, uh? The driver was mad at the media. I'll not try to explain, just go to teamtulsa.com & see it there. If you're seeing this too late, then go to their archives - 08/10/01. By the way, last time I was there, the UHF site was still KTOW-AM's xmitter (with "tower") rite beside it. 250 watts of pure power! When Roy Clark & Hank Thompson owned it their studios were near 43 & Sheridan. I worked as a lighting designer for their man Jim Halsey at the time & made fun 'cause they couldn't pick up their own signal! But then I could be going senile...who am I writing this to?....Is it time to shoot Long Horn Wing Ding or Big 8 Jamboree now? How did you find TTM? From a link that was linked to another on KTUL's website. This is a neat page. I found it not long after I moved here from Kentucky six months ago. I have a few current pictures of a few of the guys who work behind the scenes at KTUL if you want to embarrass them, I mean display the pictures. Hi, Emily, yes, please send them on! I can't believe the TTM correspondents in Tulsa missed Friday's big story! Or maybe it was alluded to earlier. But Bill Halsten's column in the sports section of the Tulsa World on broadcasting said KOKI, Channel 23, is about to start building a news department with the objective of having an HOUR-LONG newscast at 9 p.m. beginning in January! It is to debut the night of the Super Bowl (January 27, probably a few minutes after 9). The station also is aiming for a half-hour newscast at 5:30 weekdays beginning in June, 2002. Fox found out a five-minute weathercast at 10 p.m. just wouldn't cut it, no matter how good the meteorologist--and they started with an ex-Air Force woman some years back). That'll give the existing news "giants" something to think about! In my "lost" earlier comments about all-news Channel 53 I merely observed that KOTV has no "live" news between 10:35 p.m. Friday and 5:00 p.m. Saturday, or between 10:35 p.m. Saturday and 5:00 p.m. Sunday (and the 5:00 p.m. edition is frequently shortened, pushed back, or canceled entirely because of golf or football or some other "spectacular.") Therefore Channel 53 has to keep repeating "old" news unless someone comes in to do a "live" update. But broadcast news always has neglected Saturday and Sunday mornings. I also mentioned in reply to Brother Bruchas that KTUL continues to do CNN "Headline News" cut-ins, but not every time. Around 4 p.m. in particular Teri Bowers vanishes and the cut-in becomes a five-minute monologue by a weatherman. Don't blame Teri; her day has to start at 5:30 A.M. IN STUDIO! 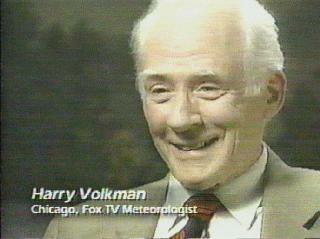 And Mike's "steal" of Harry Volkman's picture off PBS's "The German-Americans" is superb! Sorry, Don, I'm afraid I did lose your and my comments from the last Guestbook about Cox Channel 53 (a dubious "first" for this site). But thanks for reprising them, and here is the Sheridan Village picture I was able to get thanks to Channel 53, plus the Harry Volkman pic you mention (also on the Weather page). I do like having 53 available to catch local news any time. In Guestbook 81, Charlie Ray mentioned the plan for a 9 o'clock newscast at the new Clear Channel TV/Radio hub currently under construction in the old Oertle's building, but thanks for that additional detail. How did you find TTM? I do believe it's feelin' stronger every day! I remember the out-of-place presence of that old mansion across Memorial from the bustling Oertle's shopping center (I worked there during its short-lived life as "David's" before it closed in the summer of '82. ), though I've forgotten the name of the family who lived there. Any photos of it to be found anywhere? I never made it to "Scream in the Dark", though I knew a few who did, and also remember the ads for it on the AM rock stations KAKC and KELI. I think that yearly tradition ended when the mansion burned (arson? ), but the fence marking the property line stayed long after while a dispute raged over who had claim to the property. Speaking of the huge former Oertle's/David's/Drug Warehouse/Burlington Coat Factory building, is it still sitting vacant? That place was a madhouse during its final weeks as "David's", with long-loyal shoppers waiting in line more than an hour to check out with closeout buys. I spoke with a few who had patronized the place since it opened in the fifties and were very sad to see it go. Newspaper drawing of the "ingratiating" David's spokesman. He spent some time on a dartboard. Good news for Tulsa TV and Oertle's fans! ...the Fox and UPN TV stations as well as all the Clear Channel radio stations are moving out to what used to be the Burlington Coat Factory building...The facility will include a news studio, a production studio, and an exhibition-hall-type thing...Everyone will be welcome to come and check out the new building when it's done. I'll be lookin' for ya! BAMA PIE! Yup. I lived within a few blocks of that place for most of my 12 years in Tussa, and I would wake up every morning, walk outside, and declare what the Pie Run was that day. I preferred the Banana runs, meself. Next. Those double hosed PC-70F's from KOTV. I inherited them whilst I was at VCI (a dubbing house offa sheridan in the late '70's/early 80's),along with a PC-70S whose green toob was firmly entrenched with the burn in of Clay Vaughn's steel rimmed glasses. As I have mentiond before, This particular Green Gun lasted over 28 thousand hours before the filament broke. I still have it. Enough for now. Thanks to y'all for the reminders! Do Cain's - "Tulsa's Timeless Honkytonk" and the old Lady of Brady or whatever it is called - have websites on coming attractions? Is Discoveryland still doing musicals out west of Red Fork? Do they have a website? Anyone familiar with Watonga? Is there still a turista or dinner train running out there? Cain's has an excellent web site...there is a link on the first Club cards page here. Also try http://www.bradytheater.com. DiscoveryLand does not appear to have a web site. How did you find TTM? Could smell it a mile away. Concerning the size of the shack and park lot used in UHF, yes, things on the screen often appear larger than they are. You guys that work in TV can confirm that those elaborate news sets appear miniature when seen in person (not to mention "cheap"). I once ordered a plaque for my brother from Hollywood for almost thirty dollars about ten years ago. Instead of a plaque, I received a printed card with stick-on letters. I didn't expect too much, but hey! Cardboard? To my surprise, my brother got a real kick out of it. "Typical Hollywood," he said. "It is so phony. I love it!" What do you expect from a place that glues checkers to a board to simulate a spaceship control panel, or puts short actors on boxes and tall actresses in trenches? Archived Guestbook 87. It will go down as the "smell-o-vision" Guestbook, or perhaps as "Tulsa Ol' Factory Memories". Dis"stink"tive Tulsa scents were described throughout (the bad ones mostly in the past tense, thankfully). We have an outstanding query about the Weird Al's "UHF" transmitter site that I know someone out there can answer. "Scream In The Dark", a Haunted House Halloween attraction located around 27th and Memorial across from Oertle's, was introduced as a topic. A discussion of Tulsa highways was diverted by a challenge from Dan P. Holmes to talk about Highway 33. Meteorologist Gary Shore visited for the first time. He is looking for an opportunity to return to Tulsa. Author Tim Hollis has a book coming out in November, Hi There, Boys and Girls: America's Local Children's TV Programs. Some of his research was done right here. Ken Broo, Mike Miller and other regulars dropped in, and several new names appeared. There is more, but as always, the best thing to do is go back and read for yourself! In the process of archiving the Guestbook, I accidentally nailed Don Norton's (and my) comments about Channel 53 and the Sheridan Village fire. I hope to get that restored later today. I do save the entire site and the current Guestbook periodically, so there will never be more than a minor loss of information from the site, even if that nasty "Code Red" worm struck Tripod (the web site host), and my computer melted down simultaneously.